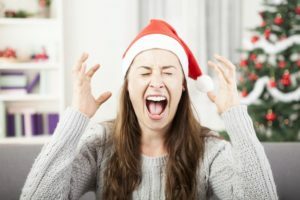 Christmas is great but let’s admit it, it can get stressful. Decorating, shopping and more shopping. It’s a seemingly never ending yuletide cycle. Trust me, I’m no Ebenezer and I love buying presents but I appreciate the tolls it takes on many–especially those who can’t afford this pricey holiday. Once we get to the finish line it’s a great feeling but unlike Halloween (the best holiday ever) or Thanksgiving (a close second) the journey to get to December 25th takes more out of us than buying candy or turkey. I’ve heard the whispers for years but now I am the biggest endorser ever of my online Christmas Miracle. Less miles on the car, less lines at the store and in the end less stress around a holiday which always packs a punch. Out of guilt, I still bought presents from all of the above as I don’t want to see them go the way of so many others (really miss buddies at Borders) but will admit I won’t miss standing in lines at Mailbox Etc or heaven forbid the UPS anymore. Amazon’s delivery dynamic trumps them all maybe except for my friends at FedEx. 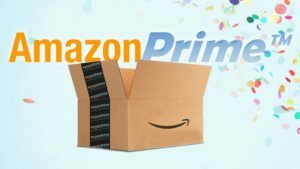 So thanks Amazon for taking the stress out of Christmas—the true gift that keeps on giving. Ama-awesome the first of many stops around the Naborhood, as usual thanks so much for stopping by. BOWL MADNESS: Another reason Thanksgiving is better than Christmas? It has more football! Doesn’t Christmas deserve a little more than meaningless NBA action? The perfect example of December’s lackluster lineup, try the day after Christmas’ bowl selections…?! The SERVPRO First Responder Bowl…..then the Quick Lane Bowl and then to top it off…….your Cheez-It Bowl?! Who is watching any of this nonsense? 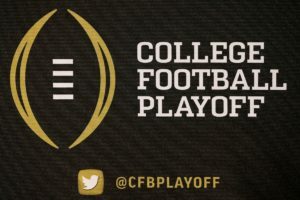 While we all eagerly anticipate College’s Football edition of the Final Four can’t we all agree that we need and deserve more playoff games and less bowl games? Years from now generations of college football fans while applauding our founding fathers for putting together such an ingenious constitution will be ridiculing the college football hierarchy for its blithering BCS and its slow moving process of starting a playoff and not quickly adding to it……..
It’s really not that hard to make this right? It would make the bowls better and give us more meaningful college football and don’t tell me it would take away from the regular season? The rivalry games will still include bragging rights and the winners get better postseason seeds. Having more playoff games won’t take away my love for Alabama and LSU and Michigan vs Ohio State. The final four is great but can you imagine if we could have something like this to look forward to instead? How can you argue? Let’s make it happen! BOHEMIAN RHAPSODY—Thanks to Netflix and the easy access we now have to movies, I haven’t made nearly as many trips to the theaters as I used to, but recently I made an exception and it was well worth it. Bohemian Rhapsody was outstanding where it chronicled the origins of the band Queen highlighting its lead singer Freddie Mercury who left us way too soon, dying of AIDS at the age of 45. For my money, Queen is one of the most underrated bands of all time and after watching the movie I was reminded of so many hits they churned out. Watching this you learned a few things about Mercury and his mates—they were confident in their abilities fighting their management for what they believed, and they believed in their music. They were tireless workers and in the end extremely loyal. 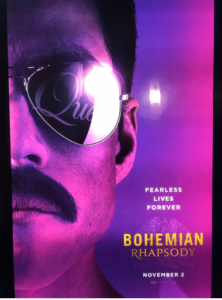 What this movie did a great job of was highlighting how different many of Queen’s songs are, where the most interesting part was how they made an effort to constantly reinvent themselves. It was great learning how they both fought for and crafted Bohemian Rhapsody and We Are The Champions–two very different, yet timeless songs. The record execs thought Bohemian Rhapody was too long and would ruin the band but Queen got the last laugh. While Mercury’s ego and personal life were a big part of this movie, I think he would have liked it too as this film overcame firing its original director and initial bad reviews to become a box office hit and in the process helped the band revive it’s music. The movie soundtrack charted at number three, the group’s highest placement since 1980, and their greatest hits package re-entered the charts at number nine. 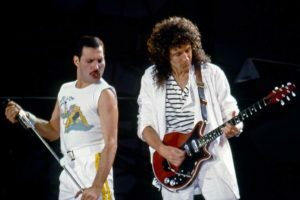 The movement gave Queen two top ten albums simultaneously, for the first time in the band’s history. WINDOW SEAT SNOBS: Traveling on flights is always a mixed bag, especially on my favorite airline Southwest which goes against the grain and doesn’t have assigned seats. 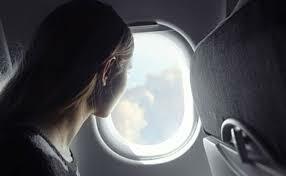 Some like the aisle, some don’t care about being stuck in the middle but many (including me) prefer the Window seat. It has many advantages the other options don’t offer where for my money the biggest is you can lean your head against it and hopefully go to sleep. I noticed the past few years a disturbing trend of the airlines wanting us Window Seat Snobs to keep our blinds down—- removing one of the biggest reasons we grab the window seat but it’s the reasons they want us to do this is what is really bizarre and in the end lame. 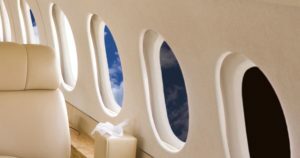 “It has become common for the flight crew to actually demand that everyone on board lower their blinds out of courtesy to sleepers or entertainment-watchers. Sorry, but no. Humans are diurnal — we sleep during the night, not the day, a biological truth that doesn’t change just because you’re on a plane. Preach Sara—I will continue to lift my blinds up upon sitting down, it’s amazing how this didn’t become a problem until recently?! NOBODY ASKED ME, BUT…..I have an old friend who is more like family to me. 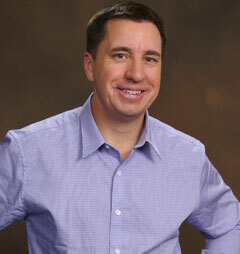 Jim Halloran is the father of one of my best friends growing up but to me he was much more. He along with my Dad instilled in me a passion for my love of baseball. Growing up and staying at his house Jim would put together a baseball quiz his son Tim and I would take before we would go to bed. Those were fun days. I remember walking through his Hallmark store which was smack dab in the middle of our local mall in our hometown of Titusville where I always enjoyed talking to him about baseball from the age of 8 to 12 through middle school and then high school. He knew and appreciated the game as well as anybody I knew. So I was honored to recently receive a copy of Jim Halloran‘s most recent book, “Baseball and America,” which is a must for anyone who loves the game as much as we do. What makes it great is it can be given to baseball fans of ANY age and is something you can pass down to many generations. Baseball and America is a celebration of what makes the game truly special. A celebration of the nostalgia certain players and teams evoke for older fans, while also teaching a newer generation about the different hardships baseball and America have faced together. Full of history, photographs, and trivia Baseball and America is the perfect teaching tool for those curious about America s pastime. 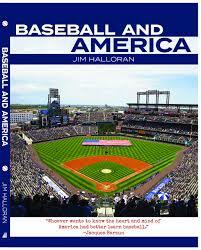 It is available on Amazon—so I suggest purchasing Baseball and America by Jim Halloran, a great book by a great baseball man. EXTRA POINT: It’s so easy to pick Alabama to win it all and as much as I want to go against the grain, I can’t see Clemson, Notre Dame and Oklahoma doing it? EXTRA EXTRA POINT: My sportsman of the year won’t have been the Golden State Warriors, it would have been Alabama’s inspiring quarterback Jalen Hurts who taught us all about loyality and sportsmanship—all at such a young age, very impressive.